In a not-too-distant past, discussions around IT implementations revolved around what hardware and software to deploy, and how much infrastructure was needed to support them. Today, the decision hinges on whether to even deploy anything on premise. Thanks to as-a-service models, organizations more often than not are opting to consume, rather than own, technology. Instead of costly, protracted implementations, organizations tap into applications and services available in the cloud on a subscription basis to meet their technology needs. This approach lowers overall IT costs and enhances flexibility. It also gives companies quicker access to new technologies so they can innovate and introduce new services to enhance the customer experience at an accelerated pace. But managing IT, even when consumed as a service, is less and less attractive to the typical company. Best to leave it to an expert – a service provider – so that companies can focus on their core business. That’s where MSPs come in. Managed services have evolved from the basic functions of remotely monitoring and managing workstations and services to the delivery of anything as a service (XaaS). The guiding principle is that just about any IT function, including platform development and infrastructure management, can be turned into a service. And if it can be turned into a service, it can be managed by an MSP. As-a-service models range from common, established offerings such as SaaS (software as a service and) PaaS (platform as a service) to more recent innovations such as CaaS (cash as a service) and DMaaS (data center management as a service). It’s safe to assume the number of as-a-service offerings will continue to grow unabated for the foreseeable future. Of course, not all service offerings are a good fit for every MSP or client. While some clients are well served by SaaS business applications accessible through a web portal, others may need assistance with development and testing of in-house applications. For the latter, the better fit is a PaaS solution that allows them to customize, test and manage applications in a simple, cost-effective way. Companies that need to deploy or expand their infrastructure can avoid large upfront investments in hardware by leveraging IaaS (infrastructure as a service), which gives them – or their MSP – remote monitoring and management capabilities for data center functions such as computing, storage and network. IaaS helps keeps infrastructure costs down and makes it easier to scale as needed. Another type of as-a-service model MSPs might tap into for their clients is DMaaS, which builds on the IaaS model by providing health visibility and analytics-based actionable insights across hybrid environments. 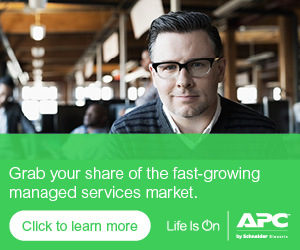 Schneider Electric’s EcoStruxure™ IT vendor-neutral DMaaS offering, for example, transforms data center management from a largely reactive approach to a predictive model designed to enhance efficiency and performance. Cloud computing created the foundation for as-a-service models, but that was just the beginning. With IoT (Internet of Things) and edge computing quickly gaining traction, plenty more service-based models are going to emerge. For MSPs, this is a good thing. The more options, the better. The challenge is to make smart decisions on which services will deliver the best combination of profitability, growth, and customer satisfaction. That’s something each MSP has to weigh based on current capabilities and needs as well as customer challenges and goals. Whatever those are, there’s bound to be a service with the right fit.